Courthouse Creek flows through the Pisgah National Forest near a mountain called the Devil’s Courthouse then falls 40 feet through a narrow chute into a natural amphitheater of bedrock. 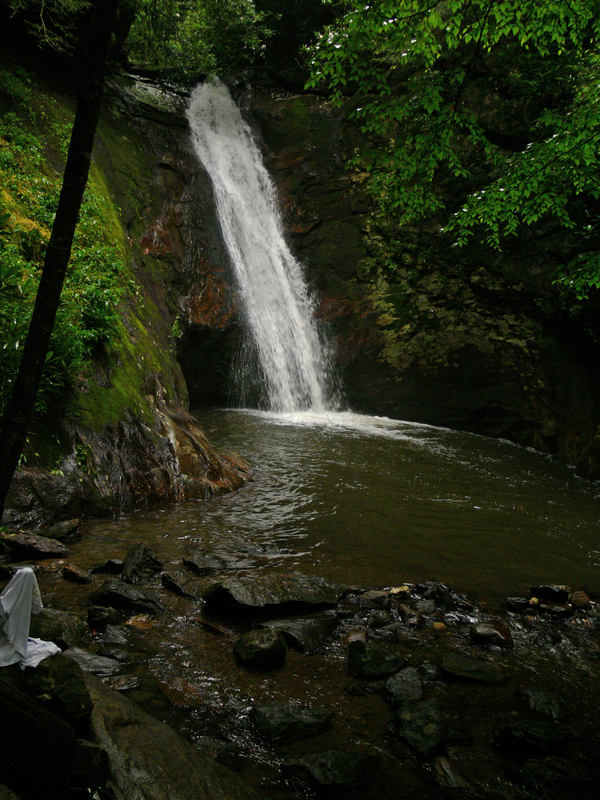 To reach the falls from the Blue Ridge Parkway, go down NC Highway 215 for 6.5 miles south and turn left onto Forest Road 140 (Courthouse Creek Road). Go 3 miles down the road and park on the right just after crossing the bridge over Courthouse Creek. Follow the marked trail for .36 miles to the falls, which will be on the left. From Brevard, take US Route 64 west to NC 215; turn right to Forest Road 140; turn right 3 miles to the trailhead.